2016 was the year many news outlets became obsessed with Snapchat. In 2017, they’ll start to realize its full potential. There are two types of publishers on Snapchat: those who are part of its exclusive Discover program and those who use regular user accounts to share Stories. The former involves a resource-heavy production process reliant on animators, video producers, engagement editors, and/or graphic designers. A Snapchat Discover team typically includes 5 to 10 employees. But launching a regular Snapchat account is far less of a commitment. This year, many publishers took this as an opportunity to experiment with Stories, which are a series of Snaps typically from the previous 24 hours. Some of those experiments were less successful than others. Reporters delivered weather reports while sporting dog ears, used occasionally inappropriate emojis, and took shaky videos of their own computer screens. They relied heavily on reporters trying to summarize their stories in 10-second chunks. It’s clear that some news organizations’ answer to Snapchat was to hand their accounts over to young, low-level employees and leave it to them to figure out a strategy. That will likely change in 2017 as older Americans embrace Snapchat. Its initially frustrating interface spurs many new users to give up before giving it a chance. But this year it eclipsed Twitter in terms of daily active users, showing that it has mass appeal. My own parents and in-laws use it every day to watch videos of my daughter. My mother-in-law will often send me snaps of home improvement projects, concerts, or homemade cookies. My family has even debated whether or not to teach my 93-year-old grandfather how to use it. When people ask to see photos of my daughter, I’ll often pull up the Memories tab of Snapchat instead. Snapchat launched its Memories feature in July, giving users more control over the permanence of their snaps. It allows users to save their snaps and resurrect them for future Stories. Users can also now upload photos and videos from their camera rolls. It initially seemed like an odd move for an app known for its ephemeral content. But it expands the possibilities for news organizations. Now even publishers that aren’t on Snapchat Discover have an easier time sharing polished graphics, animations, and videos. It also makes Snapchat more appealing to new users who are used to the permanence of content on other social networks. While most Snapchat users are under 25, the company may try to broaden its appeal in 2017. Snap Inc., its parent company, has confidentially filed for an IPO. When Twitter had its own IPO three years ago, it faced aggressive targets for growth — which it often missed. Many of the changes to Twitter’s interface since then have been aimed at retaining new users. This is another reason to suspect that Snapchat will try to make its app easier for novices to navigate. The biggest barrier to Snapchat’s growth may be Instagram. Just two months after Instagram launched its nearly identical Stories, the feature had 100 million daily active users. That’s compared to 150 million who use Snapchat overall. There are a handful of news organizations that have successfully explored the potential of Snapchat Stories. The Washington Post and The Hill both use a mix of reporter standups, short interviews and scene-setting shots to construct a narrative. Quartz works with its reporters around the world on behind-the-scenes Snapchat Stories. But it’s clear that some major news organizations still see it as a peripheral platform. 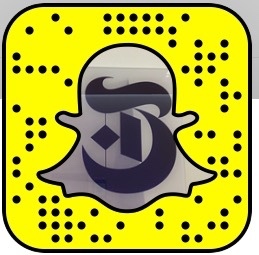 The New York Times, for example, didn’t put much effort into its Snapchat logo. To be fair to the Times, they also published an excellent column by Farhad Manjoo that explained Snapchat’s potential for newsgathering. While Facebook fired the small team of editorial contractors responsible for curating trending news, Snapchat hired reporters and producers. The Live Stories they curate are vignettes of individual experiences during specific events, including natural disasters. They offer a counterpoint to the idea that Snapchat doesn’t work for hard news. It’s unclear what impact Snap’s foray into hardware will have on the news industry. Its first camera product, Spectacles, has inspired overnight lines in Manhattan. But like Google Glass and Apple Watch, it could be a hot wearable tech item that rapidly fizzles. Even if that happens, we can expect to see journalists experimenting with its GoPro-like capabilities to shoot first-person Snapchat Stories. Part of the appeal of Snapchat is that the short videos can be repurposed for different platforms. Alice Speri, The Intercept’s multimedia reporter, used Snapchat to cover protests outside the Democratic and Republican conventions. She would shoot a 10-second video, save it to her camera roll, tweet it out and later include it as a multimedia element in a story. Other news organizations use elements of their Snapchat Stories on Instagram, Facebook, or YouTube. This is a good argument for even small, resource-strapped newsrooms to use the platform. Publishers are also using Snapchat to develop relationships with readers. My friend Taylor Lorenz, director of emerging platforms at The Hill, told me she has long conversations with Snapchat followers about what they should be covering. In September, she used the platform to ask students to share how they spent their summers, then featured the best responses in a blog post. Engagement editors have been using Twitter, Facebook, and Instagram for years to do these types of callouts. But like messaging apps, Snapchat encourages journalists to have more one-on-one contact with readers. Snapchat is already a major force in the news industry. Its influence will continue to grow in 2017 as it goes public and expands its audience. Organizations that aren’t on Snapchat Discover will go beyond the experimental phase on Stories. The remaining skeptics won’t be for much longer. 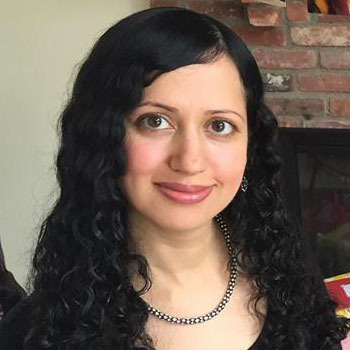 Rubina Madan Fillion is the digital engagement editor at The Intercept and an adjunct professor at Columbia Journalism School. Dec. 14, 2016, 11:38 a.m.